The highly anticipated release of Disney's Beauty And The Beast live action feature film has been an exciting event marked down on the 'must-watch' lists of many a movie-goer, but for our team at Audio Factory - well, we've been counting down the sleeps in waiting for the release of the official audiobook, which we had the absolute honour and pleasure of working on! Commissioned by the lovely folk at Blackstone Audio, we collaborated with their team in the States and Audio Always in Manchester to produce the Junior Novelisation of the story, which was adapted by Elizabeth Rudnick and released in line with the feature in North America on 17th March. Audio Factory's Arran Dutton was brought on board to oversee the recording in a directorial role, working alongside Jenna Augen whose delightful narration brings this wonderful story to life in this medium. We also worked on the audiobook for an original title featuring the characters from Beauty And The Beast, also in collaboration with those aforementioned wonderful people, which will no doubt grip fans of the original story. 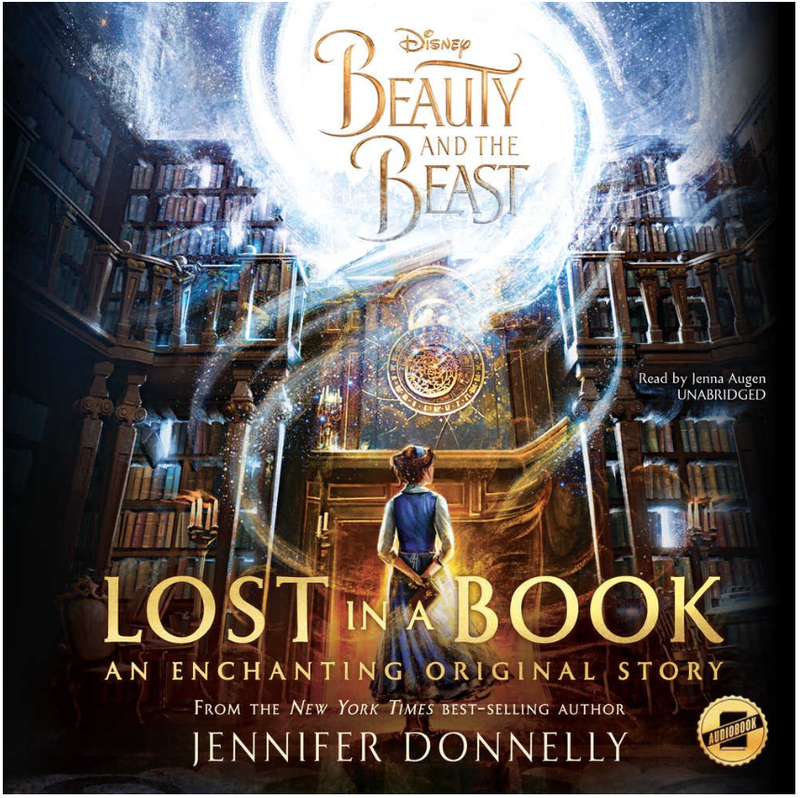 Lost In A Book, written by New York Times bestseller Jennifer Donnelly, follows the lonely, bookish Belle as she finds an enchanted book in the Beast's library called Nevermore that carries her into a glittering new world. There, Belle is befriended by a mysterious countess who offers her the life she's always dreamed of. But Nevermore is not what it seems, and the more time Belle spends there, the harder it is to leave. Good stories take hold of us and never let us go, and once Belle becomes lost in this book, she may never find her way out again. At present, these audiobooks are only available to buy in North America, so unfortunately we can't direct readers of this post based in the UK to this production at present, but of course we will be shouting about it from the rooftops as soon as it's available! For those of you based in North America, click on the links below for more on both titles. They really are fabulous stories narrated by the very gifted Jenna Augen, whose delivery is just sublime. Enjoy and go see the film too! If you'd like to find out more about Audio Factory's audiobook production service and listen to samples of voice artists we regularly work with, please find all that right here!